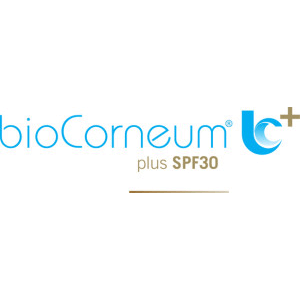 Our chosen product to address scarring is bioCorneum+. Using bC+ will provide the best environment for the scar to heal and will help speed up the healing process. We recommend that all of our patients use this after their sutures are removed and their wound is closed. We carry this in our office as a convenience for you. It is a self-adhering, self-drying silicone cream that also contains a mild broad spectrum SPF 30. At suture removal, start applying bC+ twice a day very sparingly to your scar for twelve weeks, or until you stop seeing noticeable results. If you have a tendency to form hypertrophic or keloid scars, you may want to use it for 6 months to a year. bC+ has been shown to help prevent the formation of these types of scars. One “pea size” drop is enough to cover a three inch scar. Massaging bC+ into your scar will help to break up the scar tissue. bC+ should dry right away and within a few minutes will form a slick surface over your scar. bC+ will gradually wear off throughout the day, which is why we have you reapply it at night to make sure you are getting a solid 24 hour per day exposure to the silicone. If you have any questions, please do not hesitate to ask!